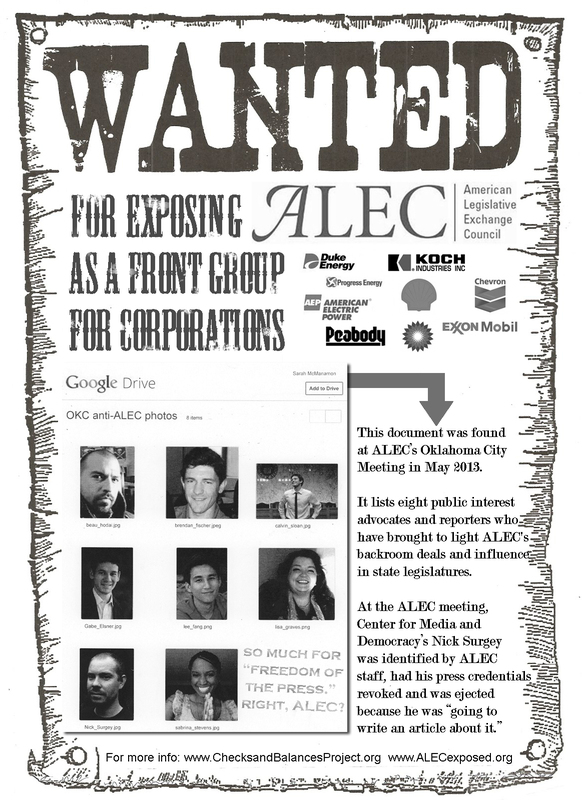 As Executive Director of Energy and Policy Institute, I was one of the eight people featured on the “ALEC Most Wanted” document alongside other reporters and public interest advocates who have criticized ALEC’s efforts to influence state legislators on behalf of special interests. 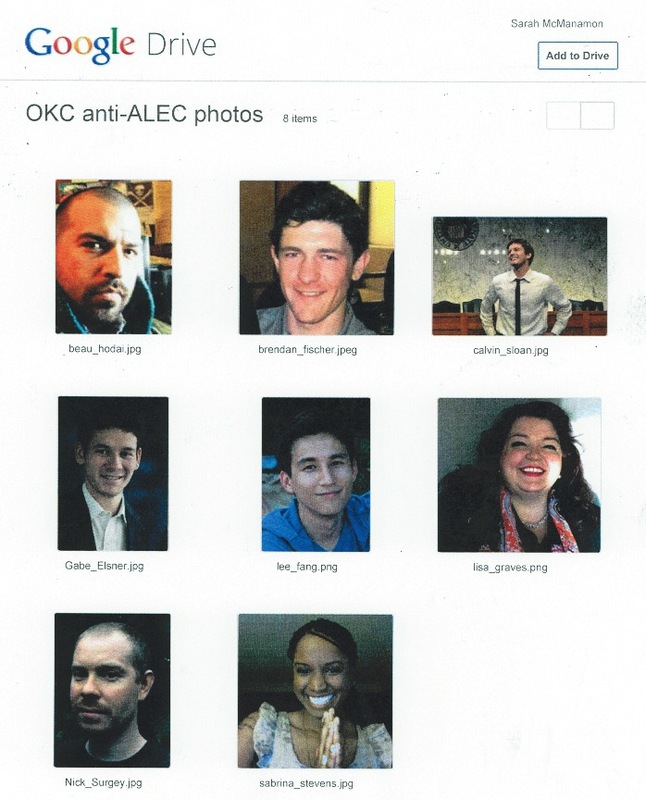 Other targets on the document included The Nation‘s Lee Fang, who has written articles critical of ALEC, and Sabrina Stevens, an education activist who spoke out in an ALEC task force meeting last November. Also featured were Calvin Sloan of People for the American Way and Gabe Elsner, both of whom are ALEC detractors. ALEC’s sensitivity to transparency shows that the accountability work by C&BP, CMD, People for the American Way and others is working. A free society can’t work unless there is some check on the concentration of power. Now, more than ever, society needs more of the most powerful check on concentrations of power – public scrutiny. Most recently, we have worked to expose ALEC’s efforts to eliminate clean energy laws in states across the country and bring to light that these attacks are being driven by powerful special interests. ALEC exemplifies how fossil fuel corporations and other special interests have an oversized influence in our public process. And, we are proud to be part of the effort to expose ALEC, fossil fuel-funded front groups and other fossil fuel interests using their power and resources to attack clean energy policies — even if it lands us on ALEC’s Most Wanted list.